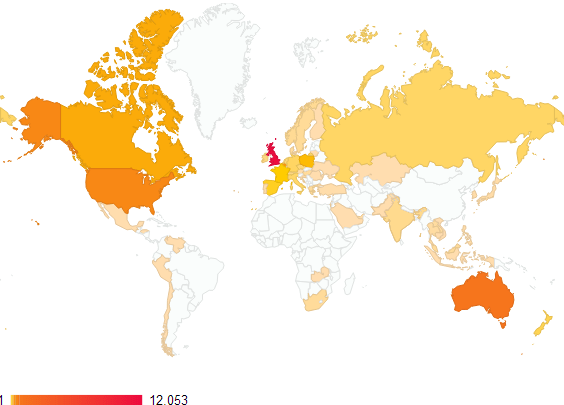 For interest, I thought I would post this global heatmap, that shows from which countries this website has been accessed since its relaunch on 25th February 2012. As you would expect, the UK leads the pack, and the next largest concentrations are in the US, Canada and Australia. Poland is also surprisingly well represented. Of course, not all of these site visitors will be Old Bournemouthians, and some may well have arrived here by mistake. But I thought the chart was never the less interesting.